Think of what happens when you get a splinter: if you leave the splinter in there, the whole area turns red and gets a little puffy. That’s inflammation at work, but it’s not actually bad news; it’s just your immune system essentially rushing help to the area to fight any viruses or bacteria that might have gotten in. In the case of a cut or splinter, you want that help there: it’ll keep any pathogens out of your body so they won’t make you sick. That inflammation is a good thing. 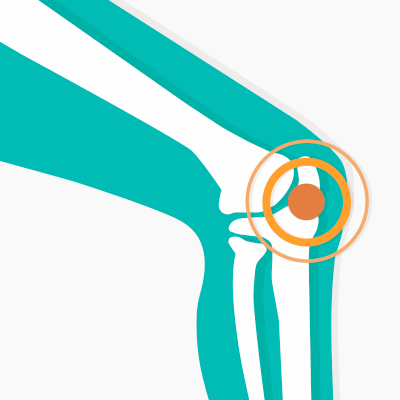 With a physical injury, if you leave the spot alone and don’t irritate it any further, the swelling will go down and everything will go back to normal. In fact, sometimes it even gets back to better than normal. For example, exercise actually injures your muscles and provokes an inflammatory response, but your body heals the injury and bounces back stronger than it was before. But now imagine if you kept stabbing yourself with splinters in the same spot, or kept training every single day without getting enough rest time to let your body repair between workouts. The inflammation would never go down, because you’d constantly be re-injuring yourself. That’s exactly what happens if you keep irritating your gut lining (for example, with foods you’re sensitive to). The injury is constantly being repeated, three meals a day (or more, if you’re a snacker), 365 days a year. Acute inflammation isn’t a problem. If the inflammatory response flares up and then dies down, there’s nothing to worry about. But chronic inflammation can actually be a symptom that causes problems of its own. 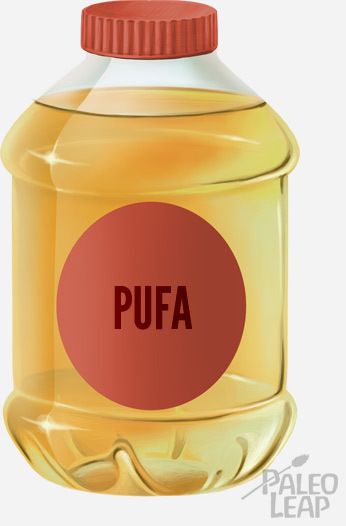 Soybean, peanut, and “vegetable” oil are all sources of Omega-6 PUFA to avoid.